Businesses do what they can to ensure that they have everything they need so that their employees are able to do their jobs in the most leading productive and efficient manner possible. However, even if they equip their employees with what they need, it does not necessarily mean that they will be able to do their jobs in the way that they are expected to do so. With that in mind, employers need to come up with the right kind of training plan that will guarantee that their employees understand what it is they need to do, and how they are going to go about doing their jobs. This article is going to focus on how you will create an effective training plan for your business. Every company knows just how useful a training program is in ensuring that employees are able to do their jobs right. You cannot expect every person that you have hired to just learn everything about the details in their job description. So, you need to come up with an effective training plan that will help you create a program that will allow your employees to learn what they need to. You just have to make sure that the training plan that you come up with is one that is able to fully utilize the talents of all those who are participating in the training program. 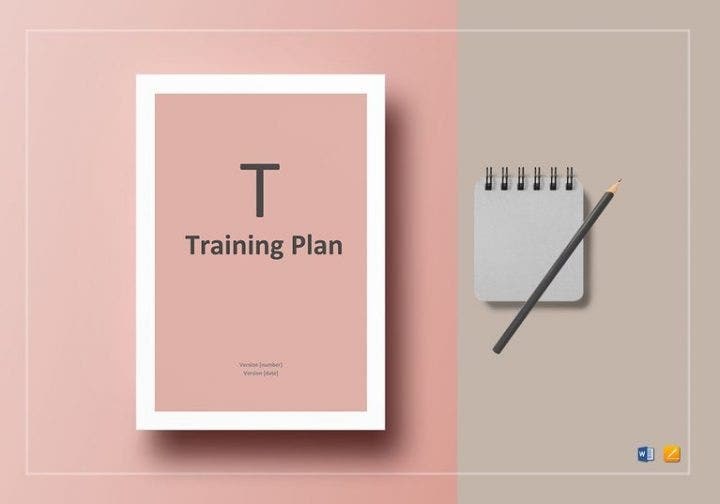 So, here are the steps that you have to follow to create a training plan that will make an efficient workforce and to ensure that your small business functions at a high level. You cannot really come up with a training plan if you do not even know the goals of your own business. You have to come up with brainstorming sessions that will help you determine what smart goals your business wants to achieve. So, let us say that your business is one that focuses on engagement with its customers. Naturally, one of the main goals of the business would then have to be ensuring that it is able to provide high-quality customer service. No matter what kind of business you may have, knowing your goals will help you come up with a training program. Just make sure that you develop a training program that has a reasonable amount of content and one that actually lets your employees understand what needs to be done to meet these goals. Unless you have an immediate access to all of the necessary training resources that you will need, you will have to purchase them from the right vendors. Before you start buying these resources, though, you need to know what it is exactly you need to purchase. Think about the best training method that your employee will be able to learn from easily, and from there you will be able to figure out what training resources that you are going to need. This can be anything such as computer software, online courses, or even books. In some cases, the provided materials will cover every aspect of the training process where no customization is necessary. Then, there are times where you will have to customize certain things so that the training materials you will utilize will be able to address the specific goals of both the training program and that of the company. You may also like plan templates in a word. You need to come up with a training schedule that will cover everything that your employees need to learn if you want them to do their jobs properly. Depending on the length and complexity of the training program that you want to create, you have to consider that it may take a couple of days or even weeks for it to complete. Figure out how long it is going to take you before you start creating the sample training schedule. You may want to have employees attend the program together to streamline it, or you can break everything down into smaller groups if it seems necessary. You have to think about all of the potential setbacks that could possibly delay the training completion. An example would be that a majority of the trainees failed in a particular major exam, this means they will have to take it again which may add another day or two to the employee training schedule. Also, make sure that the training period is the appropriate length so that you do not overwhelm your employees with too much information within a short period of time. 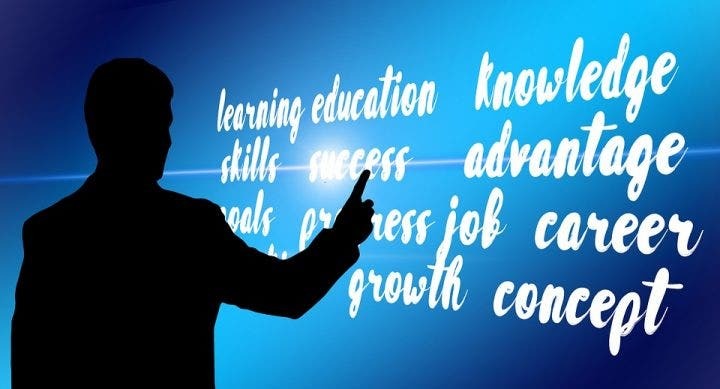 Learning new skills and knowledge is a process, and training should be done gradually so that employees will be able to fully grasp one lesson before they can go ahead and proceed with the next one. It is basically all about making sure that your employees learn at a pace that is just right so that they do not get too much information in one go and they do not forget important information due to a really long training program. You may also like plan templates in excel. You cannot come up with a training program if you do not even have a trainer. Recruit an experienced and professional trainer that will help guide your employee throughout the entire training program to ensure that everything goes as smoothly as it should. You may want to use an in-house manager who has direct experience in your business, or you can decide to hire a professional trainer. You have to make sure that this person is someone who has all the necessary experience and knowledge as he or she is the person responsible for giving lectures, answering questions, providing feedback, and doing anything else that is required to educate your employees. If you are not exactly sure that the person you have hired or assigned to take the job is qualified enough, then you can always do a background check to help you see if he or she is the right choice. Just remember to follow the proper procedures and there should not be any problems. You cannot just surprise your employees with sudden training. There has to be a respectable amount of communication between you and them. You have to inform your employees about the training program in advance so that they will know when to expect it. This way, they can free up their schedules and take care of all the work or personal business that they need to do to guarantee that they can come. Also, it is best that you hold a meeting before the actual training program so that you can provide your employees with a brief rundown on what will happen in the training program, what your employees are going to learn, and what the employees should expect out of it. During this meeting, you will also have to share with your employees what your expectations are and that this training program is one that they should take seriously. Also, the meeting will allow your employees to clarify any questions that they have regarding the training. This way, they will be able to acquire peace of mind knowing the answers to questions that may be nagging them before and during the actual training program. Make sure that you are open enough during the meeting so that employees can freely ask you the questions that they would like to know the answers to. Remember that sample communication is always a key component for every company, so do what you can to let your employees know when the training is going to happen and that you are ready to talk to them about it anytime. You have to put metrics in place so that you can monitor what your new employees have managed to complete the training program. You have to break down the training program into different sections so that you will be able to see how far your employees have come and the things that are left to be done so that they can complete the training program. You may want to utilize a tool like Microsoft Excel to help you create a spreadsheet that can help you organize all of the things that will help you keep track of the training progress. So, if you are going to create a sample spreadsheet, place the names of the employees on the left row, and then you can place the course sections in the top columns. This will create a matrix which you can refer back to when necessary and conveniently track the program every step of the way. If you can find other means that will help you keep track of the training progress, then be sure it is one that is easy for you to use and one that can actually help you see how far your employees are along in the training. Once your employees have finally completed the training program, you should have your Human Resources department meet with these employees in order to give them feedback. This is the time where the employees can discuss both the strengths and the weaknesses of the training program, what they were able to learn, and their overall experience. Having the meeting one-on-one is a much better way for you to get feedback that is both unbiased and honest. Employees will give you the information that you need to be able to fix the problems that are in your training program, as well as improvements that can help make sure that other training programs are more helpful for employees. Also, with the help of the information that was received from the employees, your HR department can spot patterns and know if anything needs to be addressed. You may also like free plan templates. If you would like to learn more about this topic, make sure to check our other articles.